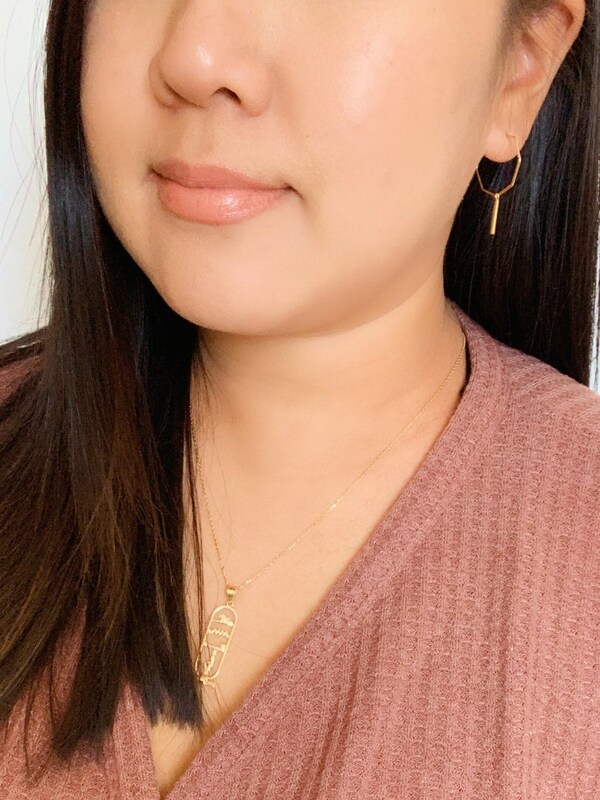 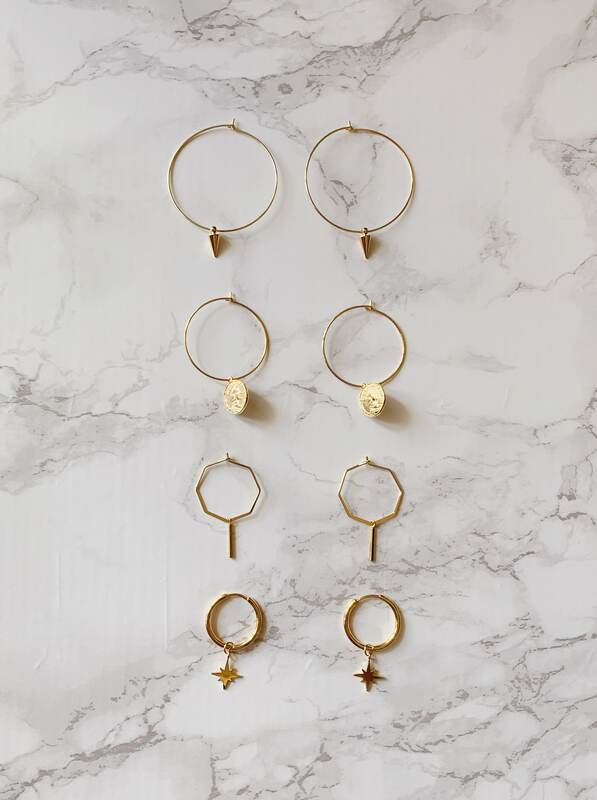 These are beautiful small geometric gold hoops. 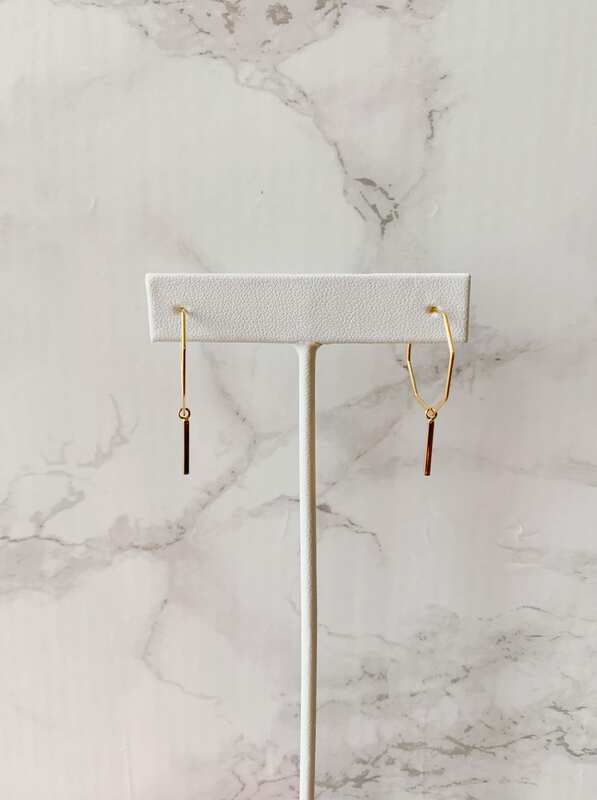 The hoops are an octagon shape with a dainty small bar charm that dangles from the hoop. 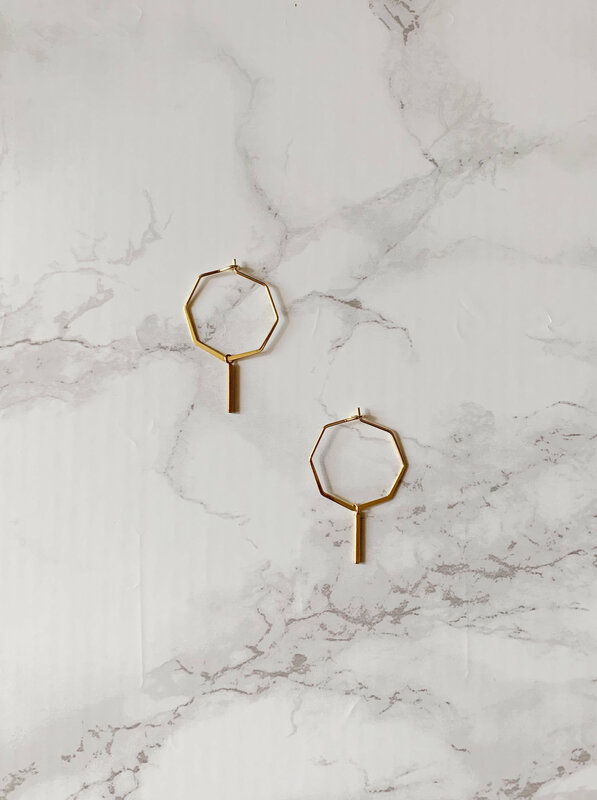 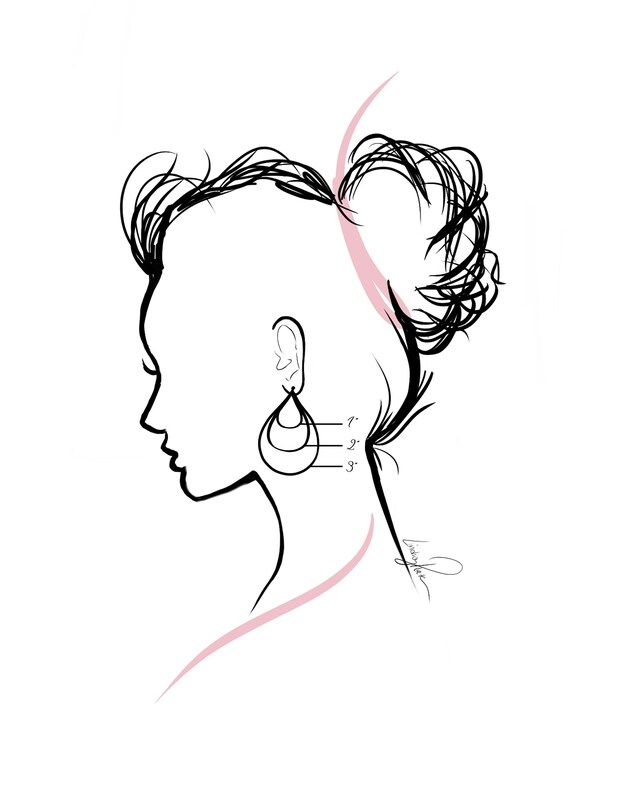 These earrings are simple and classic, and they can be dressed up or down.